A transporter crane loading fertiliser at Billingham Reach Wharf. Looks a fairly old photograph,probably pre 1970,possibly pre 1960. 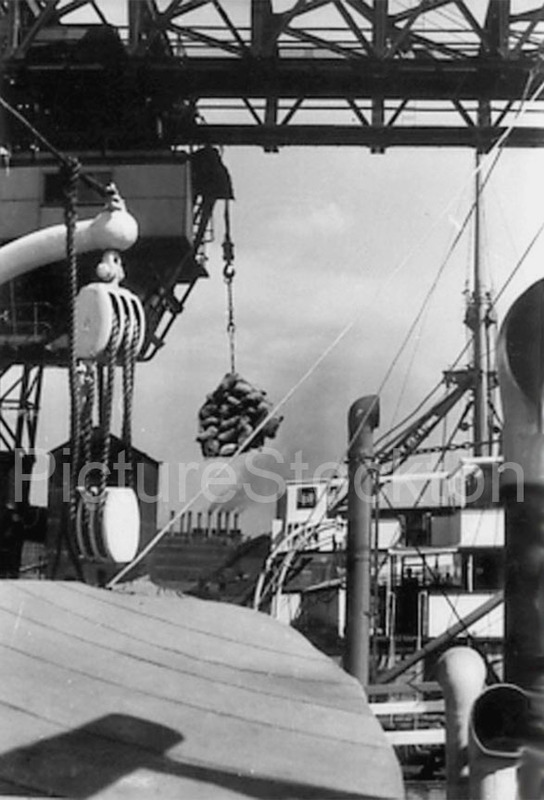 I was a deck apprentice in the mid 1960’s, and one of the ships my company owned,the Gloxinia, loaded ten thousand tons of Ammonium Sulphate at the Reach Warfe in 1964 for delivery in Queensland(Cairns) It must have been one of the largest vessels to have used the Warfe. I served on the Gloxinia later,and was told that the Ammonium Sulphate had solidified in the hold, during the six week voyage. It took over a month to unload. I have seen a number of vessels use the Warfe over the years,but none as large as the Gloxinia. Loading in bags was more usual in Middlesbrough Dock in later years.